Just like at your house, we go all out when family comes to visit. Here in Sonoma Valley, creating world-class wines is more than just a business for us. More than what we do, it’s who we are. It’s a calling that has defined our families for generations. It’s personal. So it should come as no surprise that the wine country where over 85% of wineries are family-run would be the first to allow people to be a part of our extended family. Consider this your personal invitation. In many ways, the Extended Family is simply a logical extension of what matters most to the people who live and work here where the roots run deep. It’s a way to bring people closer to the beautiful region we love and the amazing wines we work so hard to create. It’s a way of growing something we hold as dear as our vineyards. It’s about cultivating deep and lasting friendships with the people who enjoy our wines. As a member of the Sonoma Valley Extended Family, we hope you’ll feel that connection to the land, to the wines and, most importantly, to the people here. Because, while we’re proud to make some of the world’s greatest wines, any wine tastes better when shared with people you care about. That’s what the Sonoma Valley Extended Family is all about. And if being a part of our family sounds like fun, you’ll be happy to know that it’s completely free to be a part of our family. Here are just a few of the ways we hope you’ll share with us. Of course, this is just a small sampling of everything that awaits family members. The list is constantly changing and expanding. And there has never been a better time to get familial with the world’s most welcoming wine country. Join before May 1st and you’ll be automatically entered to win a hand-selected case of Sonoma Valley wines. 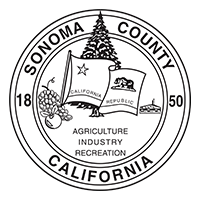 Click here to join the Sonoma Valley Extended Family today.